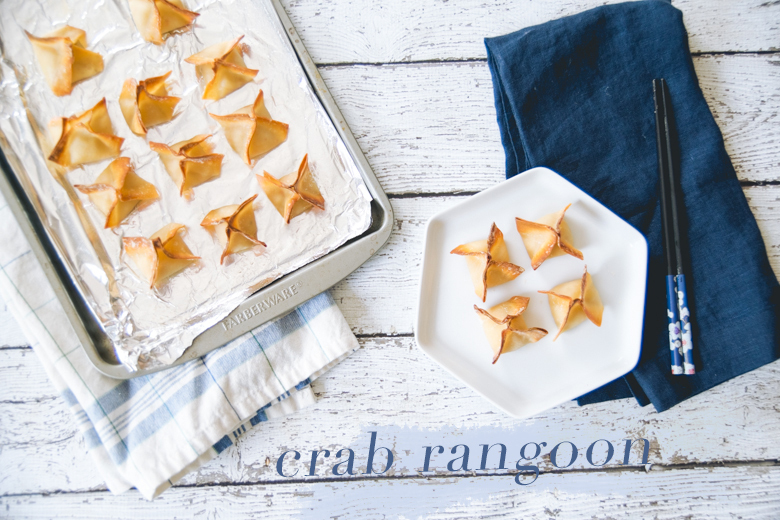 Crab Rangoon, is not by any means a traditional Chinese dish. If you’ve eaten some authentic Asian food in your life, you’ll quickly realize that cheese is not used in any traditional dish. While some Japanese dishes incorporate cheese in some deep fried dishes, these are fairly new innovations. So, even in a country like Vietnam, which was ruled by the French for 67 years & greatly influenced by them, cheese was never incorporated into our traditional dishes. Even our banh mi (sandwiches) never had cheese in them, rather, we stuck in some Vietnamese ham, pickled root vegetables, & spread some mayo & pâté & called it a day. 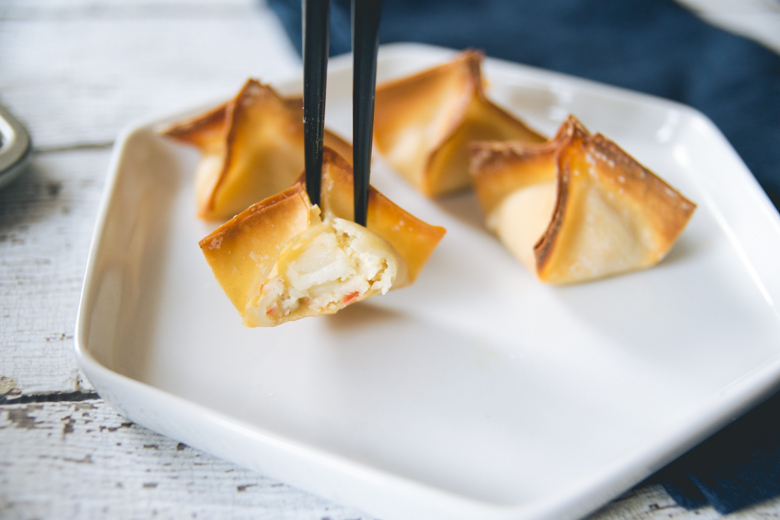 Regardless, the combination of imitation crabmeat & cream cheese deep fried in a pocket made of wonton ranks #1 as my favorite Americanized Chinese dish. But as my post title insists, my crab rangoon recipe is healthier than ones you’ll order at your favorite Chinese take-out restaurant. Remember, just because they’re healthier doesn’t mean they’re a health food. 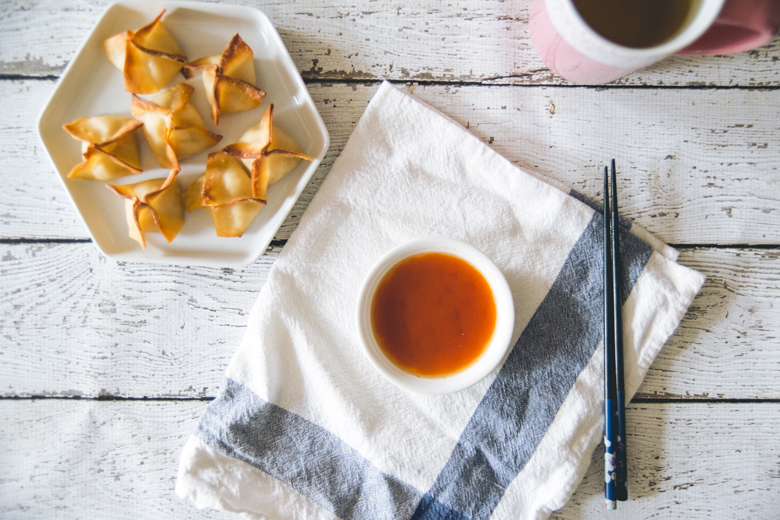 Eating 10 crab rangoon a day will not replace your daily intake of vitamin C, so treat these as the treat they are. Don’t get me wrong, I’m not a pro-Americanized ethnic cuisine type of person, but I’m not 100% anti-Americanized food either. I thoroughly enjoyed orange chicken growing up & some days I just really crave a California roll, but it’s important to understand that these foods are not traditional authentic dishes – these dishes represent the evolution & adaptation of ethnic cuisine to American tastes. Lastly, if you’re wondering how crab rangoon taste when baked rather than deep fried, I’ll tell you: less heart-attacky, yet still crispy. What’s your favorite Americanized something? Lovely photos of Portland and Acadia too! Acadia looks beautiful, and I really like the two photos in your Portland gallery with the nifty blue wallpaper. Oh don’t worry about it! I’ve been so behind on returning comments, I feel bad about it. I’m going to catch up soon too, I just caught up with a lot of other things. I backdated this post, so that’s probably why! Thank you! 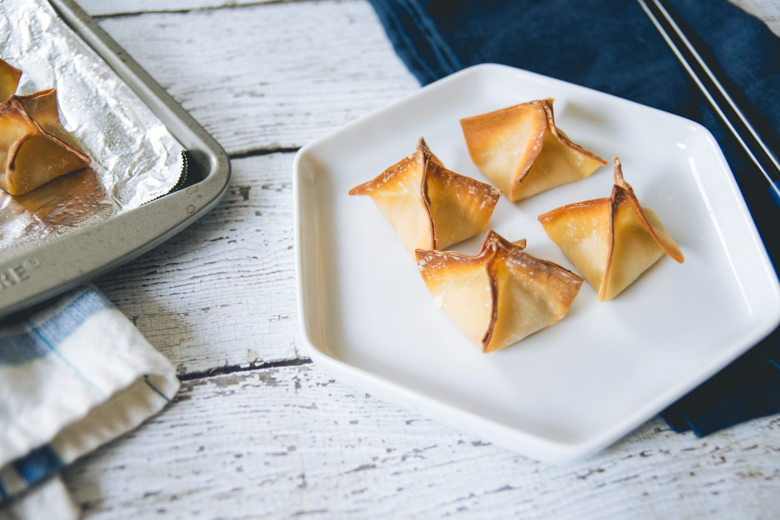 I love crab rangoon, but just like you said, lots of places tend to just fill it with more cream cheese than crab. I heard about people trying to start up a restaurant with Americanized Chinese food in China! I don’t think it’s particularly all terrible, but I definitely wouldn’t go to China hoping to eat it. That’s so funny though! I get why they’d want to cater to your American tastes, but hey, if we wanted to eat Panda Express, we have it back home. Just give us the authentic flavors! Thank you for taking the time to check out the photos. 🙂 I loved the wallpaper in the mansion turned into museum in Portland, so I’m glad you noticed it too! Seriously the only thought in my head after going through your new posts is when will I ever get a chance to taste your food??!?! So…….is there going to be a new restaurant opening or? You have all the chances in the world to eat my food, it’s why I post my recipes! 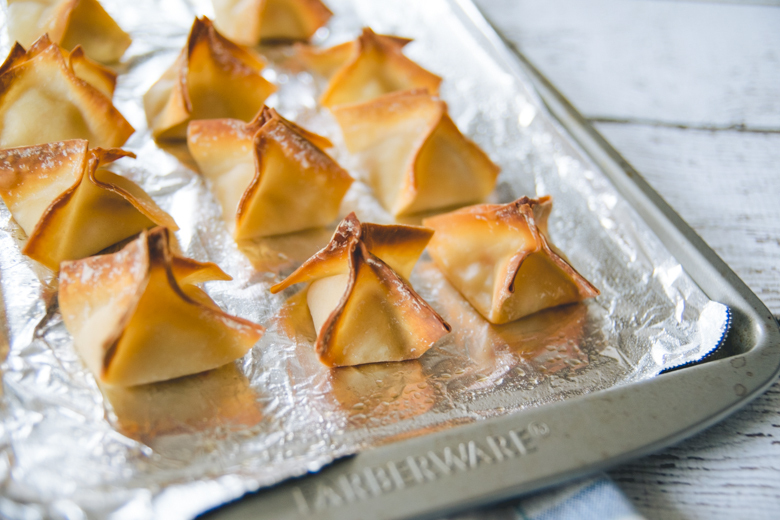 I would do dirty stuff for a killer crab Rangoon…. I’ve done worse for less….